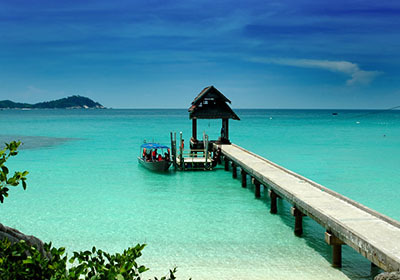 The Andaman and Nicobar Islands, located in the east of the Indian mainland, float in splendid isolation in the Bay of Bengal. Once a hill range extending from Myanmar to Indonesia, these picturesque undulating islands, islets numbering around 556, are covered with dense damp and evergreen forests and endless varieties of exotic flora and fauna. Most of these islands are in the Andaman Group, 24 of which are inhabited. In the Nicobar group 13 islands are inhabited. The Andaman and Nicobars are separated by the Ten Degree Channel which is 150 Kms. wide. These islands also boast of freedom fighting days, historically significant landmarks viz. Cellular Jail, Ross Island, Viper Island, Hopetown and Mount Harriet. The Andaman and Nicobar Islands have been declared as two of the 218 endemic bird area of the world. As many as 280 species and sub-species of birds have been reported existing in these islands, 105 of them being endemic. The Andaman Wood Pigeon, Andaman Padauk and Dugong are declared as State Bird, State Tree and State Animal respectively. There are about 96 Wildlife Sanctuaries, nine National Parks and one Biosphere Reserve in the islands. These islands are blessed with the bounties of both south-west and north-east monsoons. Peaceful Environment with negligible Industrial dispute/law & order problem. Near to International Trade Corridor. 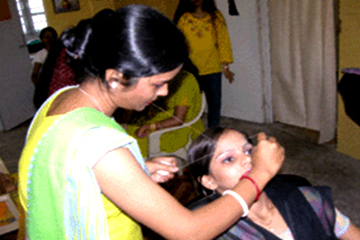 Close knit /streamlined/compact Administration so clearance etc can be obtained timely. Expression of interest for Integrated Water front complex including Yacht Marina for selection of developer under PPP is in progress. Expression of Interest for 35 room luxury boat planned to be implemented under PPP is in progress. Expression of interest for two Mechanized luxury boats 15 passenger capacity to be implemented under PPP is in progress. RFQ for four sites each at Havelock, Neil, Hut Bay and Long Islands ( Lalaji Bay ) for development of Tourist	destination under PPP is in progress. Convention center is under construction at Havelock, Dolphin Resort. Investors are invited for setting up of Scuba Diving	school at Havelock for which Administration will render all assistance. Plying of house boat and backwater cruise will also be supported by the Administration. 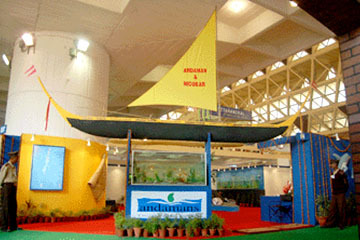 The Islands offer a vast marine potential for the fishing and marine sector,owing to a long coastline of 1912 Km with an exclusive economic zone of 6.00 lakh sq km accounting to 30% of the total EEZ of the Country (20.20 lakh sq Km) and a unique and rare marine habitat. The estimated annual fishery potential of A & N island is 1.48 lakh tons constituting about 3.8 percent of fisheries potential of the country (39 lakh tons). The present level of catch is only 28,000 tons (18.92 percent). 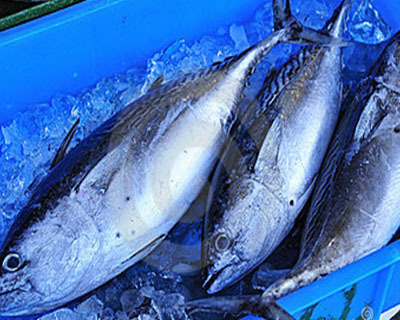 It has been estimated that tuna fishery resource alone can account for 44 percent (64,500 Tons). Establishment of 18 fish landing centers of which four are under construction and for the rest feasibility study is in progress. There is a requirement gap for 15 Ton Ice plant which can be established under PPP. Potential for investment in Fishing, Processing, Storage, Transportation, Marketing and Export of various fish and fish	products including tuna and tuna like fishes. 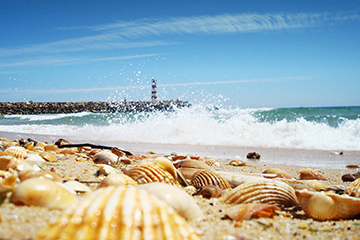 Potential for investment for Culture of fish and shell fishes in bays and in shore water. Scope for coastal aqua culture. Scope for fresh water fish culture. 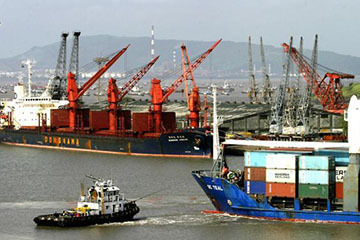 The proximity of the island to the International Trade Corridor offers good potential to the container port industry. The Great Nicobar Islands having the distinctive advantage of being in close proximity with the Indian coast line, the Neighboring South East Asian Countries and with a deviation time of just two hours from the East- West International Shipping Route is considered as an Ideal location for bunkering facility and establishment of Trans-shipment Port. Feasibility study for establishment of Trans-shipment Port at Great Nicobar has been initiated. For Establishment of Bunkering facility at Great Nicobar under PPP, a feasibility study is planned. 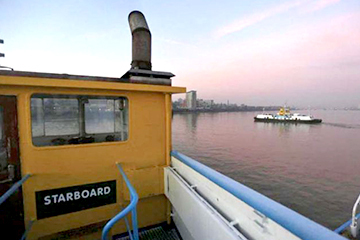 For Establishment of Dry Dock under PPP, a RFP is being floated for appointment of consultant. 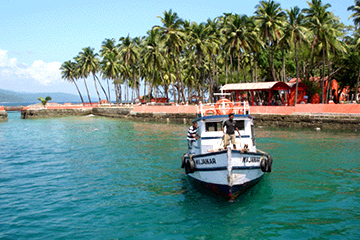 Passenger services in the busy route between Port Blair and Havelock can be outsourced under PPP. Cargo Vessels of the Administration can also be chartered for operation. The Andaman and Nicobar Islands enjoy a tropical and humid climate and receive an average rainfall of 3000 mm in about eight months from May to January. The area under Agriculture is nearly 50,000 ha. which accounts to 6% of total area. Out of this total cultivated area 12,000 ha. are flat land and the rest are hilly land. 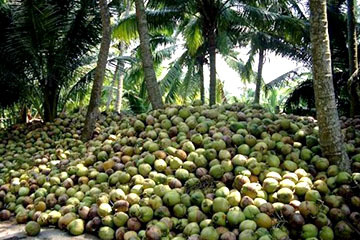 In hilly lands majority of the holdings are dominated with Coconut/Areca nut palms. The prevailing favorable soil and agro-climatic condition offer wide opportunities and immense potential for Horticultural crops like spices, fruits, plantation crops, Floriculture, Medicinal Aromatic and Dye Plants which contribute a lot towards our national economy in view of their huge domestic and export demands. There is good scope for value added coconut products and there is an immediate need to exploit this resource. In Nicobar District, area under coconut is 14516.54 ha. 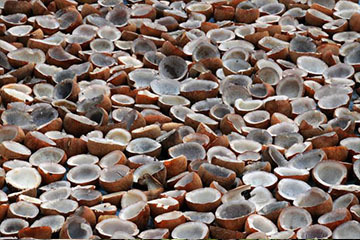 with a production of 53.96 million nuts, this provides opportunity for establishment of an Integrated coconut processing complex at Car Nicobar. 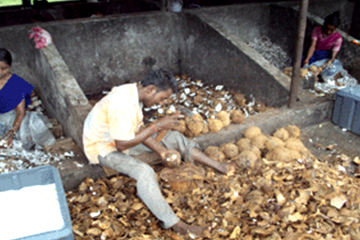 Administration is setting up a Coconut Mission for promotion	of value added products based on Coconut and Copra. Ample opportunity for setting up of integrated coconut complex under PPP. Ample opportunity for Horticulture and Floriculture. 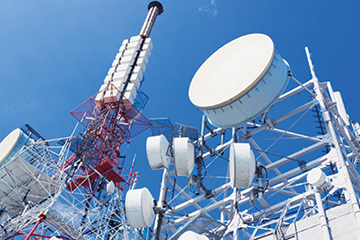 The services under ITeS covers diverse areas like finance, HR, administration, health care, telecommunication, manufacturing etc. armed with technology & manpower. 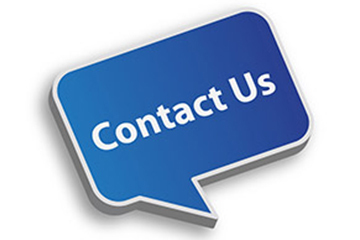 These services are provided from e-enabled locations. This radically reduces costs and improves service standards. 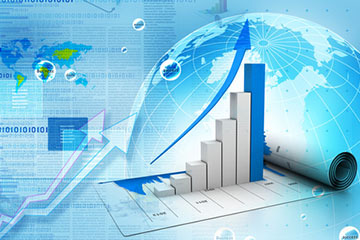 In short, the service provider aims in providing B2B e-commerce solutions, which are human intensive services that are delivered over telecom networks or the internet over a range of business segments. 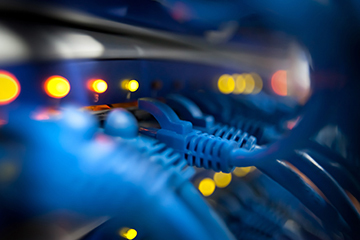 In order to provide adequate bandwidth for the above services, the Govt. Of India has entrusted the work of laying undersea optical fiber cable between Port Blair and Mainland (India) to M/s BSNL/MTNL. The survey for the work has already been completed in 2007. The Ministry of Communication & Information Technology, GOI has been requested for early finalization and speedy implementation of the project. Land measuring 1.20 Hect at Hope Town (near LPG Plant) is in possession of the Administration for Setting up of Industrial Estate which could initially be earmarked for one of the ITES Park. There is a potential of about 4 MW generation capacity through Bio Mass using Coconut waste etc., in South Andaman and by adding 25% of coal dust, about 5 MW can be generated. An EOI has been floated for the same. Planned augmentation of 33 MW generation capacity in South Andaman by using multi fuels such as Bio Mass, Coal Dust etc., for which the Central Electricity Authority has given in principal approval. 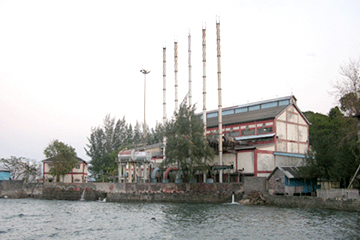 EOI for 2 MW generation capacity through Biomass in Little Andaman has been floated. EOI for 1.5 MW generation capacity through Biomass in Car Nicobar has been floated. The Andaman & Nicobar Administration is in dialogue with NTPC to install 5 MW grid connected SPV Power Plant in South Andaman and 1 MW grid connected SPV Power Plant in Middle Andaman. The following new programmes have been proposed in the Annual Plan 2009-10. The Andaman & Nicobar Administration has identified the following sectors as the thrust areas for overall Development of the Islands. The term "Enterprise" denotes an industrial undertaking of service nature or any other establishment by whatever name called, engaged in the manufacture or production of goods, in any manner, pertaining to any industry specified in the first schedule to the Industries (Development and Regulation) Act 1951 or engaged in providing or rending of any service or services. 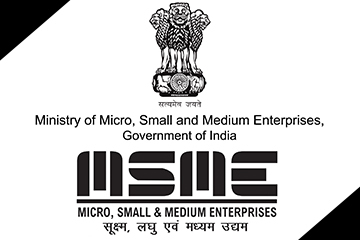 The Andaman & Nicobar Administration has recognized the importance and significance of the MSME enterprises and has provided a number of incentives and subsidies under various schemes. These measures have helped in creating the right environment for the industries to be established at different locations in the islands by tapping the specialized local talents. Transportation of Finished goods from location (the place) of the Unit in	Andaman & Nicobar Islands to mainland Port/Jetty. The "Andaman & Nicobar Islands Transport Subsidy for Micro & Small Enterprises" (2012-2017) scheme was formulated by Directorate of Industries, A & N Administration in 2007 and was approved by the Ministry of Micro, Small & Medium Enterprises GOI. The subsidy scheme shall remain in operation till March, 2017. 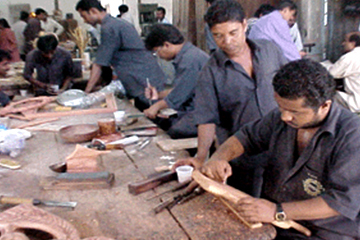 The Directorate of Industries A&N administration under its scheme "Andaman & Nicobar Islands Capital Investment Subsidy for Micro & Small Enterprises" reimburses the amount to micro & small Enterprises on its fixed capital investment excluding land & building for the period 2012-2017 @ 25% in South Andaman, Middle and 50% in Nicobar District. 50% Subsidy for procurement of pollution control equipment etc. The Directorate of Industries A&N administration under its scheme " 50% Subsidy for procurement of Pollution Control Equipments and power generation Equipments for Micro & Small Enterprises" reimburses 50% subsidy for procurement of Pollution Control Equipments or Captive Power Generation Sets or Solar Power or Wind Power or Bio Mass or Hydro Power for Micro & Small Enterprises in Andaman & Nicobar Islands. 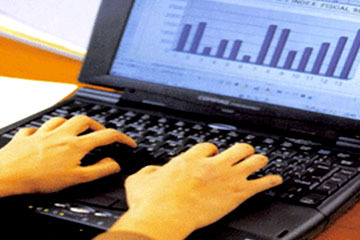 Enterprises subject to the maximum limit of Subsidy is Rs. 7.50 lakhs for Captive Power Generation Sets and for Pollution Control Equipments & Rs. 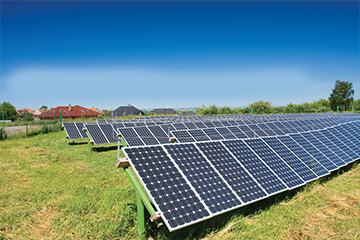 10.00 lakhs for Solar Power or Wind Power or Bio Mass or Hydro Power Machinery & equipments. 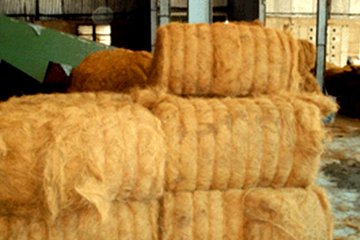 90% Subsidy on Copra dryer, Coir Processing & Bakery Equip. etc. 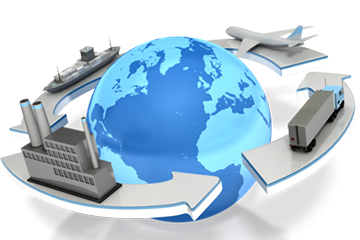 The Directorate of Industries, A & N Administration has formulated New Scheme/programme viz. “90% subsidy on copra dryer, Coir processing equipments, Bakery equipments, and hand tools for General Engineering, Carpentry and Handicrafts to Tribals of Andaman & Nicobar Islands” In order to uplift the socio economic development of Tribals of A & N Island. The scheme is effective for the period 2012-17. Under this programme 90% subsidy will be reimbursed to the Tribals of A &N islands on purchase of Copra Dryer, Coir processing equipments. Bakery equipment , hand tools for General Engineering, Carpentry and Handicrafts . The subsidy amount under this scheme is subject to maximum of Rs. 5000/- for procurement of tools and equipments and Rs. 25000/- for procurement of improved copra dryer & procurement of Bakery equipment respectively. 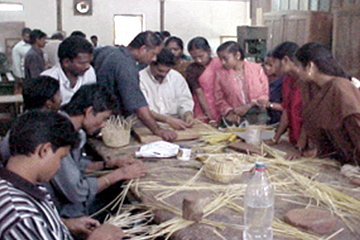 The individual Tribal entrepreneur of Andaman & Nicobar Islands is eligible for the programme. 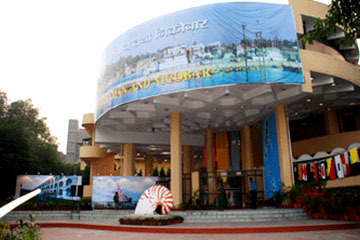 he Directorate of Industries A&N administration under its scheme "Andaman & Nicobar Islands Capital Investment Subsidy for Micro & Small Enterprises" reimburses the amount to micro & small Enterprises on its fixed capital investment excluding land & building for the period 2012-2017 @ 25% in South Andaman, Middle and 50% in Nicobar District.